Fierce, seductive mermaid Syrenka falls in love with Ezra, a young naturalist. When she abandons her life underwater for a chance at happiness on land, she is unaware that this decision comes with horrific and deadly consequences. Almost 140 years later, seventeen-year-old Hester meets a mysterious stranger named Ezra and feels overwhelmingly, inexplicably drawn to him. For generations, love has resulted in death for the women in her family. Is it an undiagnosed genetic defect . . . or a curse? With Ezra's help, Hester investigates her family's strange, sad history. 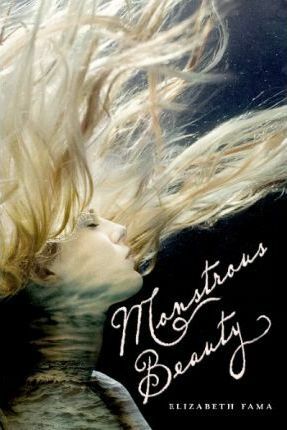 The answers she seeks are waiting in the graveyard, the crypt, and at the bottom of the ocean--but, in Elizabeth Fama's Monstrous Beauty, powerful forces will do anything to keep her from uncovering her connection to Syrenka and to the tragedy of so long ago. ELIZABETH FAMA is the author of "Overboard," an ALA Best Book for Young Adults, which appeared on five state lists. She lives with her family in Chicago, Illinois.